The canine expert and star of the hit TV show Dogs in the City shares his cutting-edge methods for training and caring for happy, healthy dogs in the city. Do you have a doggy dilemma? Struggling with canine claustrophobia? Are you trying to give Fido the best care and attention, but your busy life is getting in the way? As a dog trainer by day and stand-up comedian by night, Justin combined his two vocations and created the charity "Funny For Fido," providing assistance to homeless animals and the groups that support them. In 2006, after fostering and rehabilitating abused animals for more than a decade, he opened a full-service pet care company in New York, which was featured on the hit CBS show Dogs in the City. With a creative and instinctive ability to connect with dogs and solve problems between pets and their owners, Justin became New York City’s top dog guru. Now, in The Language of Dogs, Justin shares insider tips—not to mention his best hound humor—for socializing dogs of all ages and preparing new puppies for well-adjusted city lives. Packed with expert training techniques, recipes, and grooming advice, this book is a complete guide for people with dogs of all breeds, ages, and temperaments. Justin’s work with pet owners is more than a business; he has a true gift for distilling complex issues into simple solutions. A must-read for all dog lovers, The Language of Dogs will help you become the best dog owner you can possibly be. “Dogs are, after all, man’s best friend. Were dogs fluent in English, the first thing they would do is assure us that they’re positive what they’re doing is okay. In fact, they could cite chapter and verse on how their behaviors are approved by their owners. Every dog inherits a set of personality traits from its parents. Genetics determine things like herding instincts, energy levels, drive, and function. A lapdog’s function is to sit idly in its owner’s lap and look pretty. Naturally, its energy and aggression levels are pretty low, and it will never attempt to rustle up cattle or herd sheep. Retrievers used for waterfowl hunting must exhibit a Zenlike calmness because the hunting is done in small boats in winter conditions. Many hunting breeds, such as retrievers, poodles, and cocker spaniels have what’s known as a “soft mouth,” referring to their ability to pick up, hold, and gently carry quarry. It is almost impossible to teach this behavior to a dog without the inborn ability, and although I’m not a proponent of hunting, it is an impressive skill set. Terriers, on the other hand, are expected to shake rodents and snakes in order to kill them quickly and efficiently, so a soft mouth in this breed would be a very rare exception and a problematic one. Breeding has gone a long way to make certain characteristics predictable. Once we set aside these characteristics, each dog still has a unique personality paw print. Distinct from the business of nature and nurture, dogs have leanings, preferences, and moods that are expressed in an entirely individual manner. It is imperative that we know some of our dog’s special ways and put them to good use. Were dogs fluent in English, the first thing they would do is assure us that they’re positive what they’re doing is okay. In fact, they could cite chapter and verse on how their behaviors are approved by their owners. We domesticated dogs, and nowadays, their value lies primarily in companionship. They are no longer on the periphery of our villages, waiting to feast upon scraps. We’ve pulled them closer and closer and expect them to socialize and integrate flawlessly in our changing world. They’ve done a pretty remarkable job, and yet we stretch them to the point where anthropomorphizing is actually trendy. They wear raincoats as if nature forgot to consider rainfall in their evolution; they sit in handbags wearing sweaters at cafés; they accompany us to work on occasion and are expected to be polite to our guests at home. The reality is that dogs are not plug-and-play little people with four legs. They’re dogs, which means they have minds that don’t work like ours. Training allows us to connect to our dogs and give them a sense of purpose. Along the way, we can get these loyalists to do just about anything we want, as quickly as they can hijack an owner’s life with their hijinks. Babies cry and dogs bark. And chew. And eat things that make us yak. They chase, sniff, bite, dig, pull, lunge, bury bones, hide food, and pee on things the way graffiti artists “tag” walls with spray paint. The good news is that dogs are far more reasonable, team-spirited, and adaptable than humans. Dogs come equipped with a set of sensory skills that would make the X-Men jealous, a neural net formidable enough to know my landlord is coming to collect the rent long before he knocks on my door and an incomparable facility to take cues from us with their eyes. A study published in the February 2004 Journal of Comparative Psychology found that dogs are much better than apes at understanding humans’ cues to find hidden food. They are remarkable animals, but they’re not perfect. Breeding and experience can render some dogs more aggressive, irritable, fearful, and antisocial than intended. Still, if a dog is reasonably well trained and properly socialized, it is always capable of fitting in. We’ve all seen someone who is “good with dogs.” Everything looks easy and goes smoothly. So what’s that all about? It’s the power of observation. Dealing with dogs may seem intuitive for some people simply because but they’ve learned to keep a keen eye on the animal. Most people are too inundated with their own concerns to do this, and we’ve got the troubled kids of the two- and four-legged variety to prove it. A woman whose dog I trained was overfeeding and under exercising her schnauzer. She told me she did so because she wanted the dog to like her. She had concluded that her dog was ornery and malcontent because it didn’t want to go outside and needed to be fed more. Oy vey. I immediately knew who really didn’t like going outside. After some reflection, she came to the realization that the dog’s despondence, short temper, and bratty behavior began around the same time she started curtailing his time outside. After she admitted she had been spending too much time at work, we agreed to find her a dog walker. With some gentle nudging, she also became more proactive in taking her dog out. A month later she conceded that not only was her schnauzer in better spirits, her mood and general outlook improved. What did it? The simple act of taking her dog out for walks. Too many dog owners are missing out on a great thing. Some people insist their dog never listens; I can assure you that dogs pick up on everything. Even dogs that appear to have ADD can readily respond to commands. Similarly, the best-behaved dog can look right through you and not budge when implored to come. Dogs recognize the half-heartedness of a limp “Rover, stay” and will respond in kind by not listening. While they know exactly when we mean business and when we’re preoccupied, it’s a rare owner who can read his dog the same way. Dogs have adapted so well to domestication that I can’t blame people for humanizing them. That said, a walk around the block for a dog is anything but a Sunday stroll. A dog can detect contraband in a backpack a block away, know what your buddy ate for lunch, pinpoint a rat’s location in a nearby sewer using ultrasonic hearing, spot a mosquito’s movement as it beelines into a pile of leaves across the street, and then tell you what time those leaves fell. For an encore, it can do this in near darkness while making you feel like you’re the only thing on the earth that matters. It’s got more sensory input being thrown at it than we can imagine and a processor that puts the latest Intel chips to shame. A dog’s senses hit the ground running at full speed even when pulled out of a dead sleep. Dogs are master observers and will pick up on nearly imperceptible shifts in our mood before they even happen. They know far more than we realize. Despite the robustness of a dog's wiring, owners and trainers tend to profile a dog’s problem as a hiccup caused by inherent limitations. They do not consider the dog itself—how it picked up the problem, where it may have gotten the wrong message, etc. When a problematic habit or behavior is spotted, the fix is too often a mechanical off-the-shelf solution. Considerations for a dog’s personality and motivations are discarded. Indeed, when an off-the-shelf solution is effective, it is usually nothing more than an effort to either bribe or intimidate the dog out of doing something it thought was okay. In both of these scenarios, the dog’s personality is being shaped in a less than desirable direction, because the symptom is not the problem. In due course, your best friend will find an equivalent behavior that will ultimately lead you to a new trainer, book, or technique. Boredom is an enemy for both dogs and kids. Ask a bored kid what the problem is, and you will get the following answer: “I don’t know what to do” or “I don’t have anything to do.” Dogs tell us the same thing with their actions. Her owner, Rachel, had been on the wrong side of dog ownership for months. Maya was entering adolescence as part Velcro Dog (sticking to Rachel, mainly) and part China Shop Bull. The moment Rachel stopped moving, Maya would be right on her. To make sure I understood, Rachel put Maya on her dog bed, told her to stay, walked away, and sat on the floor. Before Rachel had the chance to settle in, Maya was all over her. Maya appeared to be trying to meld eyeballs with her in an effort to conjoin their heads permanently. It was funny, but not for Rachel. Two other trainers had taken two entirely different approaches. The first went straight into performing drills and proofing what he taught her. Proofing is a method of testing and improving a dog’s handle on a command by changing variables—distance, environment, instructor, anything that makes a prompt or command different and usually more challenging. Maya’s ability to learn once you had her cooperation was not in question, but getting her to understand that commands are not optional requests was another story. Maya got a good report card, but when I spoke to the trainer, he was a little more honest: “Yeah, she’s good. Sort of. Good luck getting her to stay on the bed. Great dog, though.” I wasn’t surprised to hear this. Rachel had noticed that Maya would grudgingly follow along as the trainer worked overtime, drilling her with commands. Rachel could also tell that Maya had no real desire to engage and appeared restless. At first glance, Maya appeared to be an “in one ear, out the other” type of learner. The reason the first trainer’s persistent approach didn’t work was subtle but simple: Maya was mischievous and playful, even sneaky. She could learn from anyone if her innate traits and strengths were played to. It was clear that she only wanted to play and was going to check out if she wasn’t interested. I realized I needed to make training a game, but a game with lots of structure. Her first trainer was a good guy, but too much of a disciplinarian for Maya. He had unwittingly attempted to train the personality out of her via constant repetition. Suppressing Maya’s playful side was counterproductive to her learning process. The trainer ended up in an ineffective power struggle with the dog. Maya’s second trainer also didn’t quite pick up on her personal cadences. He didn’t realize that if you gave Maya a finger, she’d take an arm. On this go-round, the trainer attempted to let Maya play herself out by taking her to the dog run for some ninety minutes. That was not going to happen because this dog could stay woundup forever if left unchecked. He compounded this mistake by trying to teach her right outside the park. A dog park is a tough environment to compete with. It’s like trying to teach a kid to read while his buddies are playing ball in plain view. Also not happening. Maya did not transition properly from play to learning to resting mode. She’s rambunctious, so when her energy levels get high enough, she definitely needs a cool-down period and some structure in her environment. Rachel needed to be able to sit and do some work, and Maya needed to stay by her bed. I had to teach Maya to associate going to her bed as a good thing in order to keep Rachel sane and allow Maya to wind down or else she would remain in a heightened state. We would make a game out of it. I began in her trigger place: the dog bed in the living room. My first move was the be very up-tempo so Maya would get the impression that there was some fun to be had. I waved her over to her bed and exhorted her to come. When she would move away from the destination, I kept encouraging her to come back with an enthusiasm that bordered on maniacal. This is one area where being shameless pays off. I was all agog and waved Maya over like I was trying to get a kid to come see Santa Claus make his way down the chimney. Rachel looked alarmed for a moment and then began to laugh—until Maya started following instructions. Rachel’s perplexed but entertained expression told me that she understood how a loony level of excitement can make a real difference. She was on board. I would lead Maya to her bed with enthusiasm, and she would come. She would move off the bed, but the moment she did . . . I would happily lead her back. Repeat the above steps roughly five times. When a curious Maya stayed put for a moment . . . I introduced a treat, upping the ante. When she decided to stay, she was rewarded with a treat. She would wander off again: no reward. I waited, caught my breath, and she came back. I rewarded her again, and she stayed put. I enthusiastically led her away from the bed. She happily began to come back on her own. I had given Maya a choice. I basically said, “You can go your own way and have no one to play with, or you can play this game with me and be rewarded for it.” Instead of bribing her, I had given her a very easy decision to make. For Maya, enthusiasm was the key to convince her that she wasn’t sitting in a classroom. Looking under the hood of this session, it was neither formal training nor a party—it was a puzzle for Maya to solve. She was led to a place where she was asked to stay. Although she didn’t yet understand our motives, she was able to move and play with purpose. In short order, Maya figured it out. Her bed was no longer a prison. She was playing a game, and being on that bed was a part of it. By session’s end, Rachel was able to sit on the floor, and Maya would come only when explicitly invited. For Maya, staying put gave her something to do; staying put became an actual activity that allowed her to calm down and often fall asleep. Even healthy, high-energy dogs like Maya can see their good energy turn into anxiety when they’re not provided with needed structure. Boredom is an enemy for both dogs and kids. Ask a bored kid what the problem is, and you will get the following answer: “I don’t know what to do” or “I don’t have anything to do.” Dogs tell us the same thing with their actions. Knowing to stay put when Rachel sat on the floor gave Maya something to do. Her energy was now channeled and her mind was at work. Until Maya was clear on her purpose and role within the family, her anxiety continued to spike, and she couldn’t unwind. Most everyone thought she was just a hyper dog that would give everyone problems until the end of her days. Going forward, her energy levels began to rise and fall much more smoothly. It should now be apparent that working with a dog’s specific personality can make all the difference. It is also my hope to persuade everyone to look at his or her dog with fresh eyes. As we progress, it will become clear that speaking dog does not require anyone to be Dr. Dolittle. It simply begins with listening with our eyes and rethinking our approach. Most people are asking two things of a dog trainer, although they’re usually phrased in the form of a hundred questions and observations. 1. Why is my dog making me crazy? 2. Why can’t I fix it? Answer: People often underestimate their dog’s capabilities and the importance of its role in the family. Dogs (both domestic and feral) are classified as a subspecies of the gray wolf and are the first domesticated species. They have been best friends with humans for a long time and were believed to have shown up on the archaeological radar about ten thousand years ago. However, a University of California, Los Angeles, study found that dogs have been separate from wolves for the same amount of time that groups of wolves have been geographically separated. That is estimated to be a hundred thousand years, a full tenfold greater than previously thought. Interestingly, only one other mammal exhibits a similar genetic diversity and widespread mixed gene pool: humans. Dogs’ benefit to society is myriad. Science is now finding quantifiable ways to express just why the rewards of dog ownership far outweigh the trouble. In other words, if you’re having trouble with your dog, maybe your stress levels are too high and you need to spend more time with your dog. So who domesticated whom? For a long time, humans and their canine counterparts did not get along. In the sixth century B.C., Solon of Athens offered a bounty on every wolf killed. In the sixteenth century, under the rule of Henry VII, the last wolf in England was killed. The Scots considered their dense forests unmanageable for hunting down and killing all the wolves, so they burned down the forests. By 1930, there was not a single wolf left in the contiguous forty-eight United States. That’s roughly fourteen hundred years of recorded contempt. Why? Wolves have been hunted for sport, for their hides, to protect livestock, and even to protect humans. In the last few hundred years, almost every culture has attempted to kill off wolves. They may be the most persecuted animal in history. Again, why? There is no clear answer, but the simple reason could be: Outside of humans, the gray wolf is the most widespread large land mammal on the planet and, historically, our biggest competitor for food. Despite being such a formidable threat, wolves were able to turn the tides. In a rare case of survival of the friendliest, less aggressive wolves used their powers of charm and persuasion to get a few scraps from villagers and, little by little, found their way deeper into our culture. Their evolution likely had an impact on ours. Wolves and early dogs were outstanding hunters with healthy appetites: not exactly the kind of partners you look for in a shared hunt. It is highly likely that they approached us first and did so with shocking success. In other words, if you’re having trouble with your dog, maybe your stress levels are too high and you need to spend more time with your dog. Fascinating though it may be, you may be wondering what this has to do with dog training. The answer is everything. Dogs have played an evolutionary role in our lives for a long time. In order for them to fulfill this role, we have to redefine and consider what dogs need that they might not be getting. Although our earliest dogs may have charmed their way onto the periphery of villages, they didn’t get to stay on good looks alone. As they evolved, they began to earn their keep and became hardwired to perform tasks. Herding dogs can shepherd livestock for over eight hours a day without resting. Portuguese water dogs were bred to deliver messages from boats to shore and can swim and dive for roughly ten hours without a break. Basset hounds can trail scents from dawn to dusk, and their limits probably haven’t been tested (the testers would get too tired to keep up.) With domestication, dogs’ appearance began to change as they became softer-looking (think spots and floppy ears), and continued breeding gave rise to specific physical characteristics and skill sets. It is safe to say that most people can’t give their dog the exercise it can handle, but many do not even provide the exercise they need. When an under-exercised dog goes unattended, it will perform instinctual functions. Dogs may try digging holes in the living room, or hunting down a few rodents and offering them up to you as a gift, among other creative endeavors. A dog needs to be stimulated and integrated into the society that it resides in. Many dog owners today can be compared to parents who give their kids everything except time and attention. To us, getting dogs to sit and stay is for their own safety and allows us to relax and not worry that our dogs are being unruly or meddlesome. To them, they are performing a function. As with Maya, doing nothing was doing something, and for her this made all the difference. She gained purpose and structure in her life and responded well to it. To teach a dog anything is to give it a function, purpose, and role in its life. Dogs do not have to fetch the paper to feel useful, but ideally they should have an idea what they are supposed to be doing in any given scenario. Whether a dog is overbearing, domineering, or even timid, such behavior reeks of anxiety and desperation for instruction. The most important thing for a dog to understand is that we are the rightful owner of those treats, chew sticks, and squeeze toys, and that we decide when the belly rubs get doled out. To help establish a role in the family for your dog, you must recognize that it has one in the first place. A dog’s genetic profile predisposes it toward work, not companionship. In our culture, working dogs are in the minority. It is unlikely that your pet will be called upon to protect the family or flock, herd sheep, hunt down quarry, or perform a search and rescue. A dog’s role is constantly in flux, especially as people’s day-to-day routines become more demanding. An emotionally healthy dog has a clear understanding of its role. This begins with the knowledge of who is capable of providing it with that role. In order to give a timid dog confidence, the dog needs to understand that it is not in charge of the household. The same holds true for an overbearing dog or a dog that exhibits “dominant” behavior. Whether a dog is overbearing, domineering, or even timid, such behavior reeks of anxiety and desperation for instruction. Why did I put “dominant” in quotes? Because there is a general consensus that since dogs are descendants of gray wolves, they are pack animals that adhere to the protocols that govern a pack; ergo, one’s dog will attempt to dominate and control its environment in order to establish its role as pack leader or be vanquished to mere subordinate. Sadly, many well-meaning owners are guilty of punishing their dogs in an effort to establish the role of alpha or pack leader. To put it mildly, that is a popular bit of hogwash. Hopefully, we can move past our need to be withholding and militant in our approach to dogs so we can get back to the most enduring and successful business and pleasure relationship in history. The most important thing for a dog to understand is that we are the rightful owner of those treats, chew sticks, and squeeze toys, and that we decide when the belly rubs get doled out. When your dog has learned this information, you will have a calmer and happier dog. Why? Because your dog has something to work for that will allow it to perform one of its biological imperatives. Think about it this way: If you get a check every month from an anonymous donor, you’ll likely worry that one day the checks will stop coming. However, if you’re confident that you have earned and will continue to earn this check, you will not have cause for concern. It is healthy for a dog to know for whom and what they are working. Without this knowledge, the dog will feel unstable and be unable to bond. Dogs are fully dependent on us, and their desire to contribute to our well-being may be an encoded survival mechanism. Once it can say, “This is the person I’m working for, and this is what I have to do,” it will no longer feel the anxiety of not knowing. Even if a dog is well provided for, not earning its keep will cause a dog to question the source of its bounty. To be perfectly clear: I am not suggesting that a dog will try to figure out what makes us happy. They are too smart for that, given that we humans are too fickle for them (in truth, they’re not capable of that level of cognitive thinking). What makes us happy one moment may revolt us the next, so what do dogs respond to? Positive emotions. When we experience positive emotions, they will follow our lead. Remember how psychotically happy I pretended to be when I was urging Maya on? She wasn’t following instructions at that point; she was following the good vibes. Dogs do have a biological urge to emotionally bond with humans, and this has intensified as we’ve continued to evolve toward each other. This process is very different from establishing dominance, although an owner must be responsible for calling most of the shots. When I wait until my dogs are sitting calmly before I put the leashes on and take them for a walk, they are clearly aware that I’m setting the terms. It is up to me to initiate when work, play, exercise, and affection happen although I can be a softie, so they do get their way, as well. Despite this, they catch on when my attitude is “Sorry, kids, Daddy has work to do.” This makes sense to them, because they understand what their role is in order to receive the things they desire. They know the rewards come from me, and I provide for them consistently, so they are well conditioned and thus relaxed. They also know what behaviors work in their favor, and these behaviors have slowly become their jobs. Engaging the dog’s mind while you’re at play is a great stress reliever for both parties; it also gives your dog less time to consider getting wound up and misbehaving. If you want a head start on creating a job for your dog, exercise is a great way to begin. Nearly all dogs are driven to be physical. However, giving a dog exercise does not mean opening the back door as you shout, “Fly, be free.” As physical animals that need bonding, dogs need you to walk them, socialize with them at dog runs, take them swimming, or play fetch, among other possible activities. Mental stimulation is equally important. I recommend that owners engage in an “active walk,” wherein they teach their dog to heel as well as practice basic commands. Engaging the dog’s mind while you’re at play is a great stress reliever for both parties; it also gives your dog less time to consider getting wound up and misbehaving. For example, my dogs must earn their meals and playtime by training with me. By having them earn their keep, I convey to them that I hold the keys to the kingdom, which gives them that crucial purpose. To partake in my food, affection, and play, they will have to perform in order to secure it. This will prevent a world of unwanted behavior, so long as I don’t expect perfection. For example, Maya did not know what to do when Rachel sat down to do work. An owner’s role is instrumental even in the passive part of a dog’s life. We must observe what our dogs are doing in different environments so we may teach them appropriate rules of engagement. My dogs have free run of the house at times. They can run, wrestle, chew, and snarl at each other, and this works because they have other learned activities. If they did not know the “go to your bed” command, I’d be sitting there yelling, “Come on, that’s enough now.” From there I would have to separate them as a form of punishment, which is entirely unnecessary. I was once asked how my dogs separate play from chill time, especially in the same location. Great question. The answer is they may not consciously know how to transition from work to play, but there is a framework of commands that comprises the structure of a well-behaved dog. When I say, “Go to your bed,” that effectively ends play for my dogs; if I say, “Drop it,” then the toy in their mouth is no longer an option. Since dogs respond to positive emotions, I try to keep it light in tone and remember to offer treats on occasion for being cooperative. They may know these commands by heart, but the occasional treat can help them guard against selective forgetting. In the bigger picture, they also are rewarded by food, exercise, and affection. To some degree, this may sound a bit dictatorial. I can see where some might be concerned, but it’s possible to be a benevolent dictator who understands that a dog earning his keep will be a happy dog. When I did Dogs in the City, one of our most popular segments involved a skateboard-riding bulldog named Beefy. Beefy was a YouTube sensation and the head of the household. He would growl and groan whenever his owners got into bed together and would not relent until he was sleeping in between them. His owner Patrick is the nicest guy in the world, and his love for the dog allowed this behavior to continue. My purview allowed me to see that Beefy was a generally unhappy dog. He was demanding and whining, and when we were shooting, he appeared to have lost some of his verve about hopping on a skateboard. I told Patrick that I wanted to teach Beefy a new trick: how to be a dog. Beefy was used to having his way, but more importantly, Patrick was used to giving it to him. Dave had a chance to talk with him onset and discovered some interesting history. Patrick was newly married and had gone through a bad breakup a few years earlier. In the wake of the breakup, Patrick felt like it was him and Beefy against the world. Beefy could do no wrong where Patrick was concerned, and they spent an inordinate amount of time together. When Patrick met his wife-to-be, Erin, Beefy remained priority number one to Patrick, and the dog ran the house for a while. Erin was probably not particularly fond of this arrangement but didn’t say anything. Beefy and Erin didn’t have much of a relationship. In fact, Erin couldn’t even walk him. The first thing I did was convince Patrick that his seventy-pound bulldog would be happier with some limits and boundaries. It took some doing, but we agreed to a few ground rules. First, Beefy would have established feeding times and would no longer be allowed to sleep in bed with Patrick and his wife. Then we had Erin walk Beefy, because he had yet to warm up to her. We created a little space near the bedroom where Beefy could hang out and see in. Using a gate and leaving him in the kitchen would not have worked, because Beefy’s protests would have kept everyone up all night. He also had to respond to Erin’s commands before he would get fed. “Go to your bed,” “sit,” and “come” were practiced, and quickly, Beefy was listening to Erin. Once Beefy had to jump through a few hoops before he received the things he coveted, his disposition improved. Beefy had tasks to perform, and this sense of purpose put a little spring in his bulldog steps. Patrick had been trying to juggle his relationship with his wife and dog separately rather than integrating everyone into a little family. This transformation illustrates my point perfectly. Having a job and “knowing its role” will fulfill a dog’s biological needs. It is necessary for us to initiate, as well as stop, play, affection, and rewards. To be our very best at this, we must learn what motivates our dogs, to please them as well as to please us. When this happens, owners become more inclined to spend time with their dog and the horizon brightens. Play with purpose replaces head scratching and hair pulling. This begins with the passive act of watching our dogs. 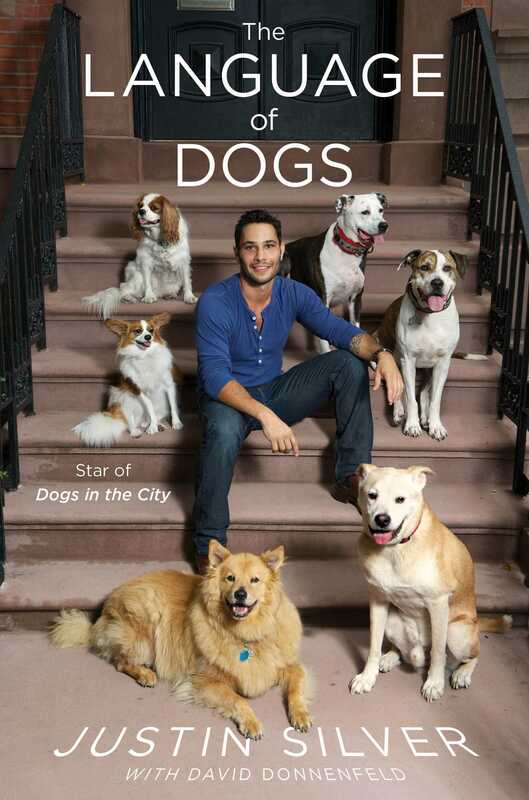 Justin Silver is best known as the star of the reality series Dogs in the City. He was born and raised in New York City, where he also runs his pet care clinic, The Language of Dogs.